If you want to watch the new miniseries, you are going to have to fork up some cash for a Youtube Red subscription. Yes, Big Hit Entertainment is partnering with Youtube Red to develop a documentary series for BTS. 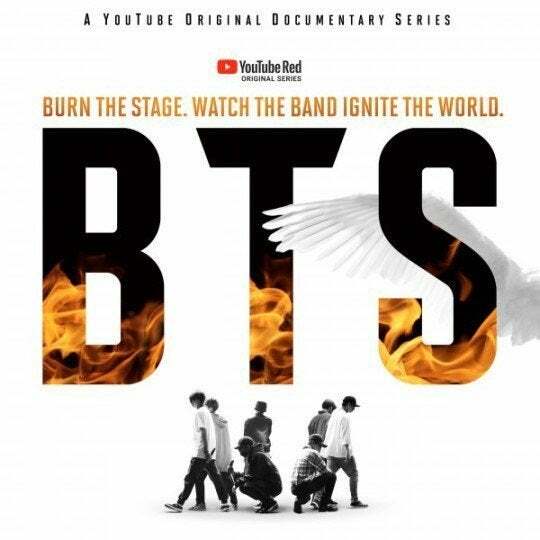 The project, which is titled BTS: Burn The Stage, will be an eight-part series documenting the evolution of BTS. In particular, the documentary will focus on the band’s most recent tour. 2017 BTS LIVE TRILOGY EPISODE III - The Wing Tour will be the focus of the series as it recounts the 300-day affair. Fans will be able to catch the documentary’s first episode on March 28 on Youtube, and that one will be for free. However, the others will not. If you want to watch episodes 2-8, fans will have to get a Youtube Red subscription. The documentary will air a new episode each week until the last one airs on May 9. So, you may want to save up for the splurge now. However, fans in the US and South Korea will be eligible for a Youtube promotion to give them access to the service. A special code will be released for BTS: Burn The Stage which fans can use to get a free Youtube Red subscription between March 14 and April 14. Of course, this is not the first documentary BTS has done for fans though this is the band's first partnership with Youtube on one. In the past, the K-pop group has done in-agency videos documenting each of their comebacks, and BTS has used VLive as a way to share their bigger projects. This new documentary will mark the second K-pop venture Youtube Red has taken on since its debut as the service previously did a variety show with BIG BANG prior to the band's military hiatus. Will you be watching this documentary? Let me know in the comments or hit me up on Twitter @MeganPetersCB to talk all things comics, k-pop, and anime!